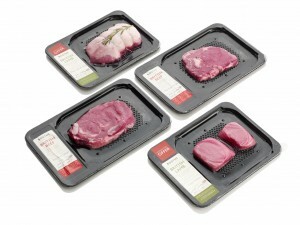 Booths supermarkets was looking for an alternative to MAP packaging for some of its premium meat products. Its in-house protein packer, Booths Fresh Foods, had been a LINPAC customer for more than five years, previously taking delivery of rPET PE trays and LINtop lidding film. 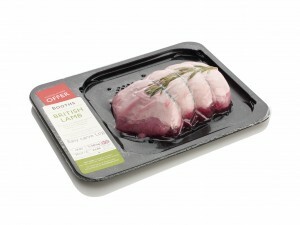 The on-shelf appeal of VSP and the minimal appearance of meat juices within the pack was attractive to supermarket management so they consulted LINPAC Packaging to develop a quality solution which combined the extended shelf life benefits of vacuum skin film technologies with the presentation and protection benefits of rigid preformed trays. LINPAC worked in partnership with machine manufacturer, Mondini, and film manufacturer, Bemis to develop a pack which met all the objectives set by Booths. The three manufacturers joined in site visits to stores, produced test designs and conducted retailer workshops and trials to ensure the final product was environmentally beneficial, well-presented and strong enough to endure the rigours of skin packing. Mondini refined and retro-fitted Booths’ machine with skin pack tooling to ensure a smooth production process. This refined retro-fit has now become the standard on all subsequent tools. Within the first three months of the peelable LINPAC VSP trays being available in store, sales of some premium meat lines at Booths had increased by 80% and food waste was reduced significantly due to the extended shelf life benefits provided by VSP. Booths reported production planning had become more efficient and easier resulting in more products on the shelves and less ‘out of stock’ labels. Nigel Cokell, from Booths, said: “The initial attraction to VSP was the on-shelf appeal, for example the amount of unsightly juices on show within the pack is greatly reduced because all free surface space is sealed, and this is enhanced further by the rigid tray which gives a premium quality appearance to the pack. The increase in sales we have seen since the packs were introduced in store shows our customers agree. “A second benefit to us has been the shelf life improvement; production planning has become more efficient and easier, meaning we have more product and less ‘out of stock’ labels on our shelves, and less food is being wasted because it has gone out of date. LINPAC Packaging now has the broadest range of rigid VSP trays on the market today, all of which are suitable for all current VSP designed tray sealing machinery. Fish, meat and poultry packers can choose from four tray material options – mono PET, PET/PE, Barrier PP and Barrier EPS – to best suit their application. The trays are lightweight, fully recyclable and compatible with a range of high barrier, high shrink films. Joanna Stephenson, vice president marketing and innovation at LINPAC Packaging, said: “Our range of rigid trays for VSP applications gives our customers great flexibility in terms of pack design. They are not locked in to a particular tray, machine, material or film type and, in addition, the vacuum seal extends shelf life performance by several days minimising food waste, all of which adds value to customers’ bottom line. “The trend towards VSP is growing rapidly, particularly in the UK, and it would be unwise for LINPAC to ignore such a fast-growing market. However, it is important to stress that we are not moving away from our roots in MAP; instead we are extending our capabilities and innovation so that our customers have a greater choice for packing their fish, meat and poultry and demonstrating that we are able to respond to changing market demands. “Retailers and manufacturers are increasingly opting for VSP because of the extended shelf life it offers them enabling reductions in supply chain waste. As consumer demand across the world continues to shift towards the ready availability of fresh and chilled meat and poultry, the pressure on the packaging industry to develop products which ensure foods remain fresher for longer is growing. 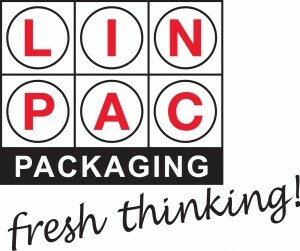 LINPAC Packaging is part of the LINPAC Group of companies – www.linpacpackaging.com – and in the UK delivers to the protein, bakery, convenience, fruit & produce and food service markets from Featherstone and St Helens and has its global headquarters at Featherstone, West Yorkshire.